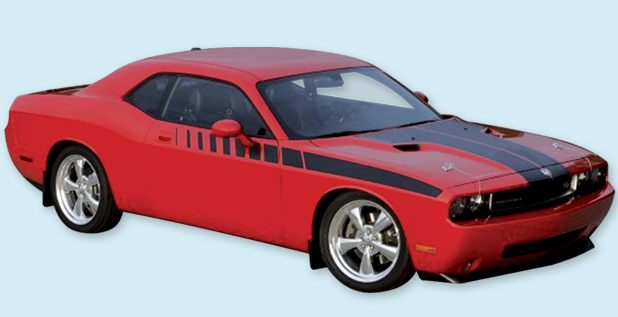 This 2008-14 Dodge Challenger strobe stripe kit is manufactured to meet or exceed OEM stripe and decal standards. It fits RT, R/T, SRT and SRT8 vehicles, with our without the HEMI. Your new muscle car deserves the best stripe kit on the market. Ours offers you the same kit the factory offers as a Dealer Accessory at a fraction of the price and in a greater selection of colors to enhance the look of your new Challenger.